That ups the color permutations. You can combine two colors to get the mix you want. Red and yellow looks great. Lots of Marvel-quality combos here. 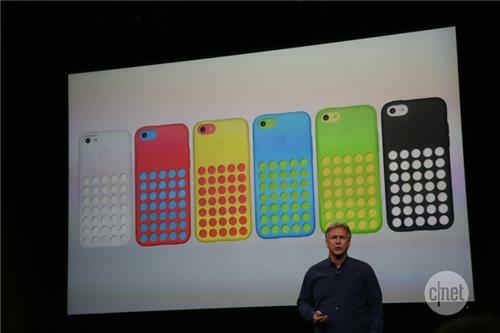 So now you have to pick the color and the accent case color. Moto X-like. "Inside it's built with a new construction method that uses a steel reinforced structure that provides incredible rigidity." It forms the antenna, too. Ha! 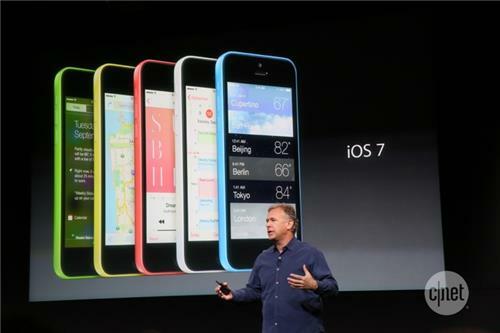 Apple has found the Holy Grail--sell a colorful iPhone AND sell a colorful case. Lichtenstein and Warhol would approve. 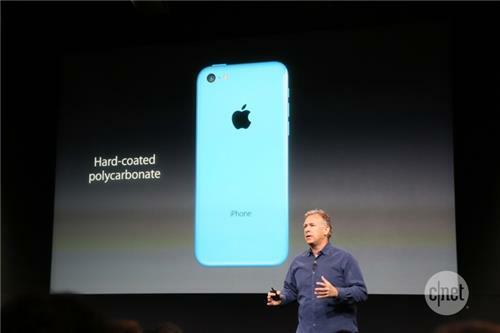 The iPhone 5C is made of some hard-coated polycarbonate material. A6, same as iPhone 5. But slightly larger battery? 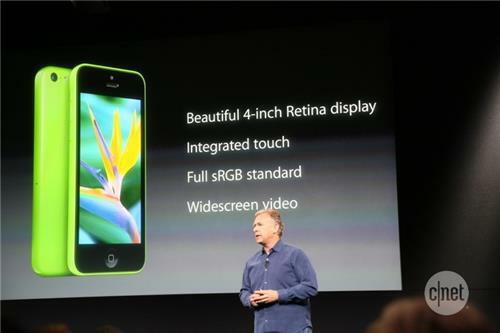 4-inch display, like the iPhone 5. 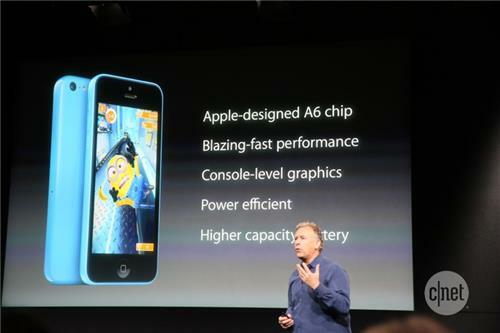 A6 chip inside, "blazing-fast performance." The battery is larger than in the iPhone 5, which is nice. 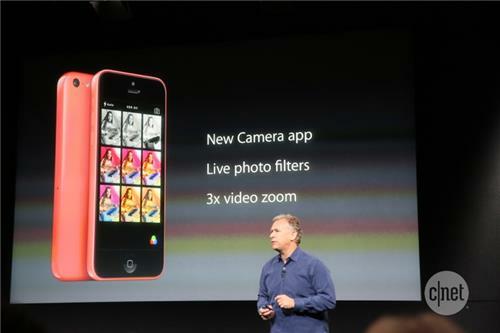 8 megapixel iSight camera, with the five-element lens and IR filter as seen on the 5. It's the Green Goblin phone. Is that a real color? 3x video zoom in camera app. Improved front-facing FaceTime HD camera. 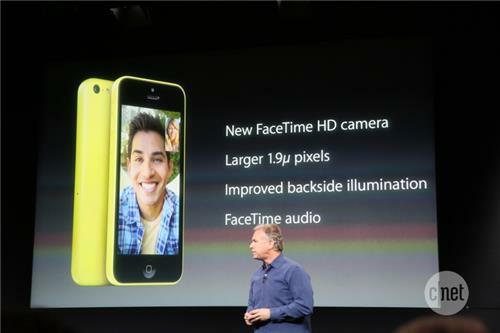 New FaceTime HD camera with larger pixels for better low-light performance, and better audio, too. 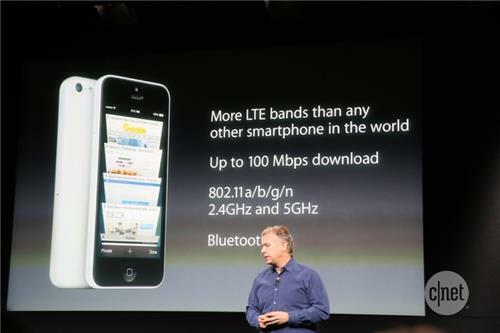 Supports "more LTE bands than any other smartphone in the world." 100Mbps download. 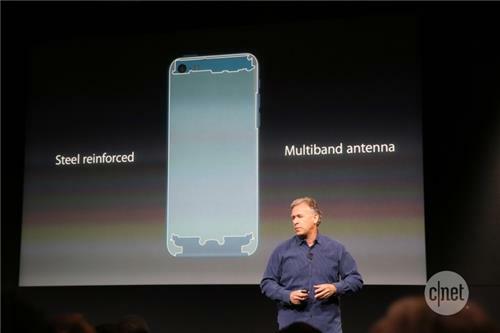 Dual-band WiFi, too. Could this be a single phone for Apple worldwide? 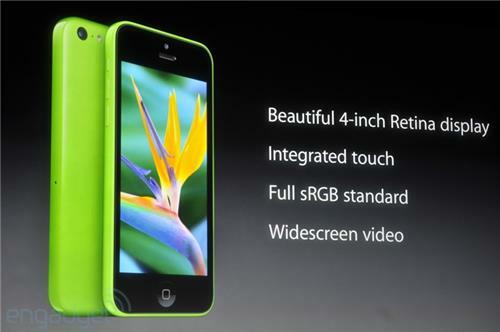 iPhone 5C camera specs: 8-megapixel iSight camera (uses new camera app with live photo filters), 3x video zoom, better FaceTime HD for low light conditions, improved FaceTime audio. Those stat slides were very fast. 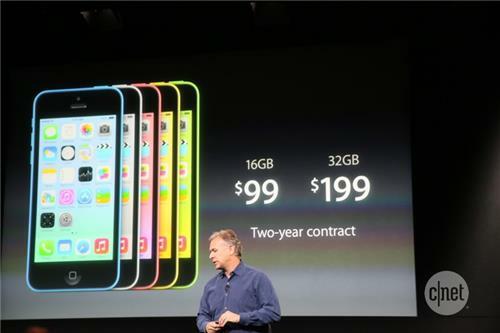 16GB priced at $99, 32GB for $199. On-contract, of course. We have a pricetag! 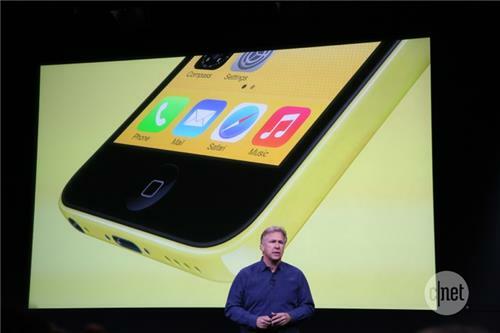 iPhone 5C priced at $99. The cases, of which there are six, are $29. Tim, you picked it. 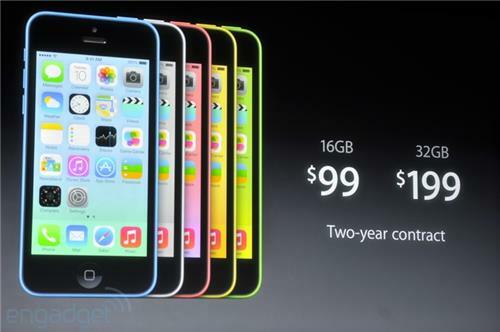 $99 for 16GB, 32GB $199. And a two-year contract. $29 color cases. "We worked really hard to make sure these products are designed in a very environmentally friendly way." Phil says they're not only toxin-free, but "Android-free" as well. Got a couple chuckles from that. 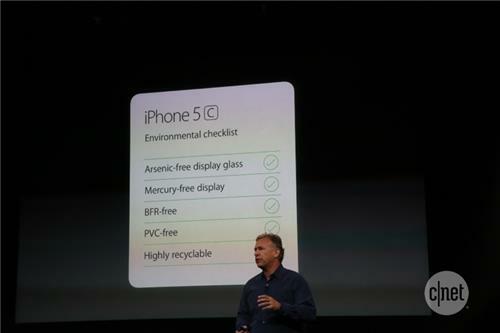 The phone is green, too: Arsenic-free display, Mercury-free, "and yes, Android-free." Okay, time for Video. 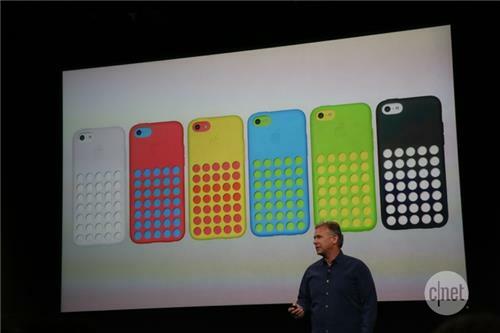 It's Jony Ive doing his thing.